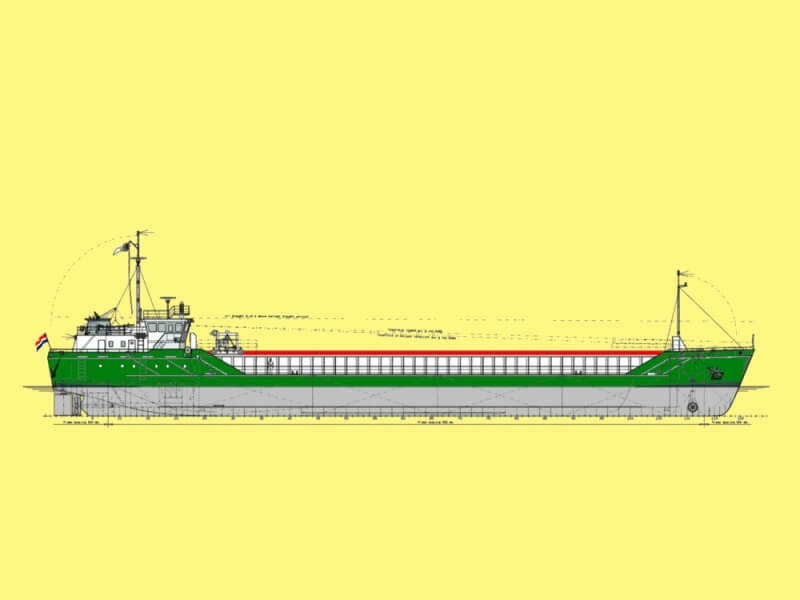 Conoship International B.V. developed a typical low-profile coaster of 1800 tons of cargo capacity. 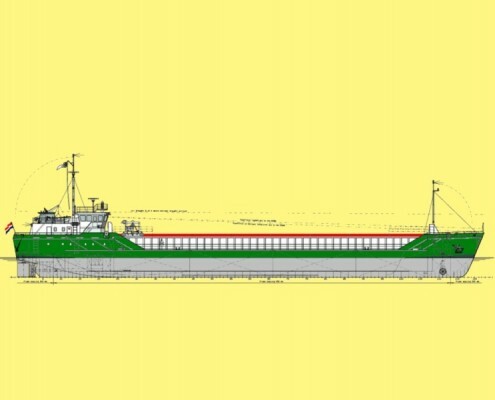 This design features an airdraught of not more than 8.40 above ballast draught arrival, which makes the vessel ultimately capable for service into seaports and inland ports in Scandinavia, United Kingdom and other West-European areas. With a main engine reduced to 749kW, the vessel can reach a service speed of 10 knots. 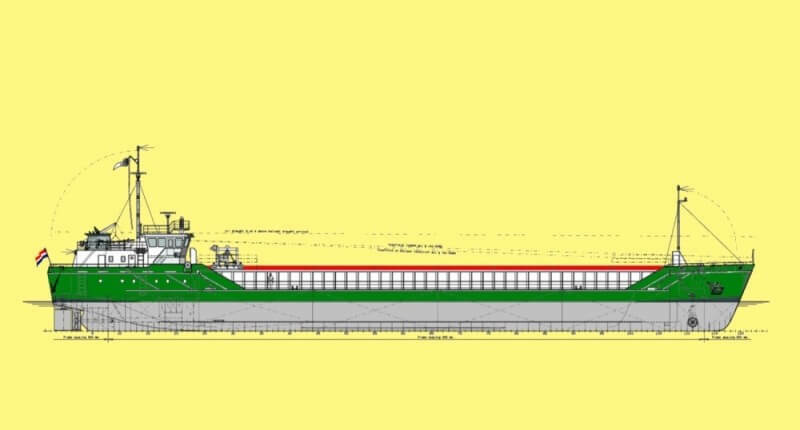 The manoeuvrability of this new design will be enhanced by a 180 kW bowthruster.